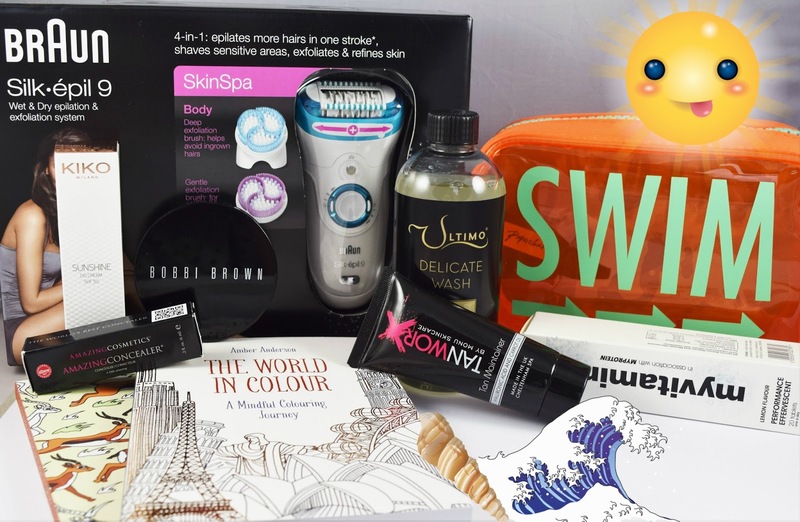 My blog giveaway for the month of June is a bumper bundle of summer holiday beauty and lifestyle goodies. It’s worth over £230 and all you need to do to enter is to follow the Rafflecopter instructions below. One winner will win all of the summer holiday products in the photograph above- a Braun Silk Epil 9, new Kiko Sunshine DD Cream in Medium, Amazing Cosmetics Concealer in Medium, new Bobbi Brown Bronzer in Elvis Duran, Tan Workz Tan Maximiser, 2 travel-themed adult colouring books, myvitamins Performance Effervescent Vitamins, Paperchase Swim Bag and the Ultimo Delicate Wash For Swimwear & Lingerie. The giveaway is open to UK residents only and will end at 11.59PM on Friday 1st July 2016. Good luck!